Imogen Thomas, 36, has admitted she is bored of being single following her split from Adam Horsley and is keen to speak to the 45-year-old football pundit. She told New! Magazine: “I’m a bit bored of being single now, my ideal [type] is Jamie [Redknapp]. “I’m going to slide into his DMs and say ‘Hi.’ I actually don’t want to be a WAG, but Jamie seems really kind and he’s gorgeous.” Imogen has been single since splitting from Adam 10 months ago. The pair have two children together: Ariana, five, and Siera, two. 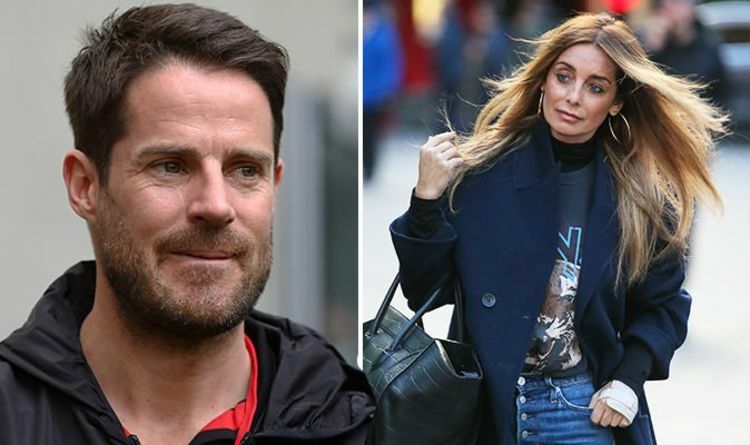 Elsewhere, Louise Redknapp and Jamie split in 2017 after 19 years of marriage and share two sons Charley, 14, and Beau, 10, together. Imogen isn’t the only female in the spotlight to have caught Jamie’s eye recently, with Emily Atack, 28, previously admitting she would love to be called Emily Redknapp. But The Inbetweeners later retracted her comment, insisting she was only “messing around”. Meanwhile, it is reported that Jamie still loves his ex wife Louise, despite them being divorced. A source has claimed the former couple have grown closer in recent weeks and have revived a “spark” between them. An insider told Woman Magazine: “There is a spark there now which he hasn’t seen since the very early days – way back when she was in Eternal. Louise previously gushed over her ex-husband, referring to him as her “best friend”. Speaking to Jamie Theakston and Lucy Horobin on London’s Heart Radio last month, she told the hosts: “It’s been really tough. But I mean, you know, he’s my best friend. Louise and Jamie married on 1998 on a luxury yacht in Bermuda. They broke up in 2017, with Louise revealing she felt like a “stepford wife” in their marriage. She told Stella magazine: “I have spent most of my life pleasing everyone else, worrying about being judged and thinking I should always do the right thing by staying at home, looking after my kids and my husband. I lost myself.